NASA's twin MarCO spacecraft are scheduled to make a flyby of Mars on Nov. 26. 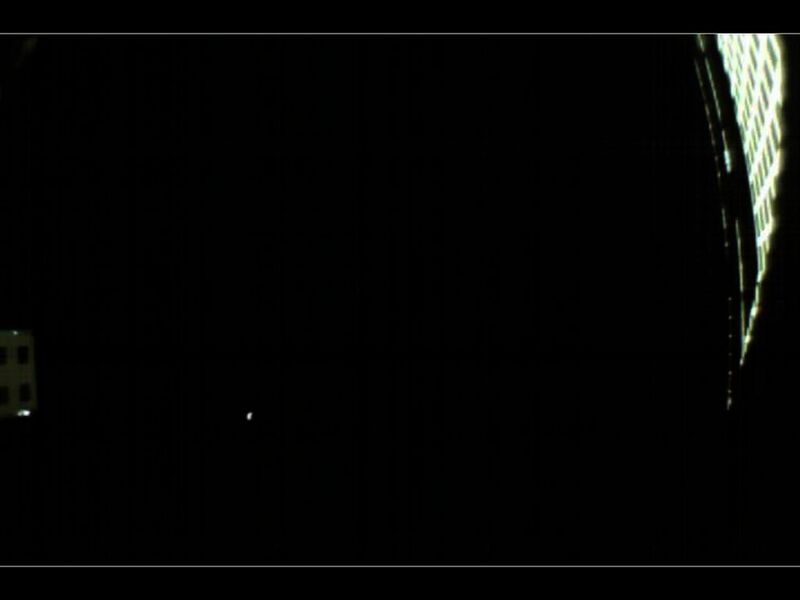 On Nov. 24, a wide-angle camera on MarCO-B took this picture of the Red Planet, which appears as a small, grey dot in the lower left quadrant of the image. 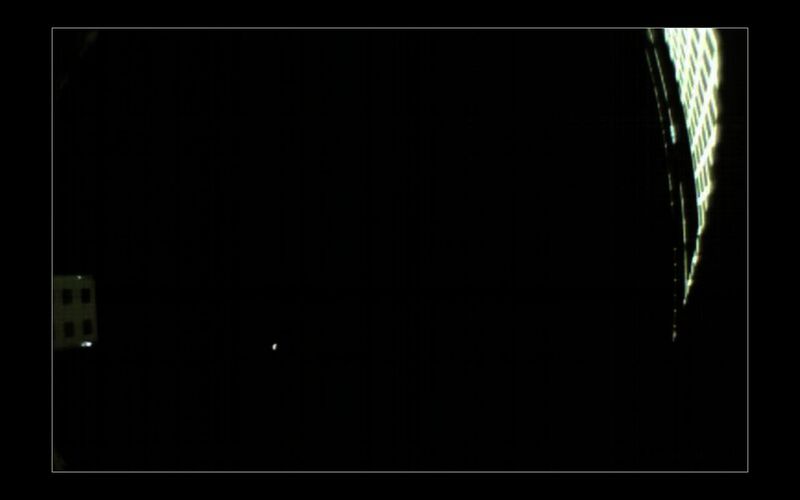 On the right side of the image is the spacecraft's high-gain antenna. 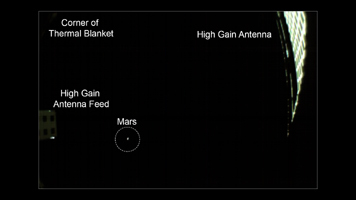 On the left side is the high-gain antenna feed, as well as part of the spacecraft's thermal blanket. MarCO-B was approximately 310,000 miles (500,000 km) away from Mars at the time. Mars is actually only about 3 pixels wide in this image, but because of blurring it appears larger. 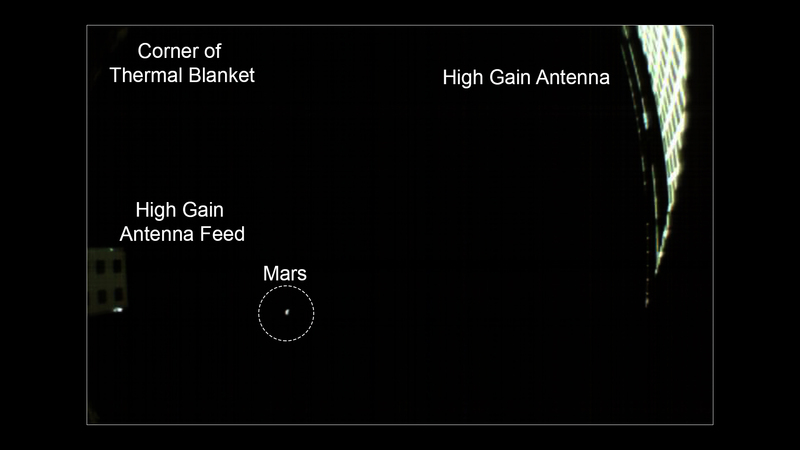 An annotated version of this image notes the location of Mars, the high-gain antenna, high-gain antenna feed and thermal blanket. Each about the size of a briefcase, the MarCO spacecraft are CubeSats, or small satellites built from standardized units that are 4 inches (10 cm) square. (Each MarCO satellite consists of six CubeSat units.) 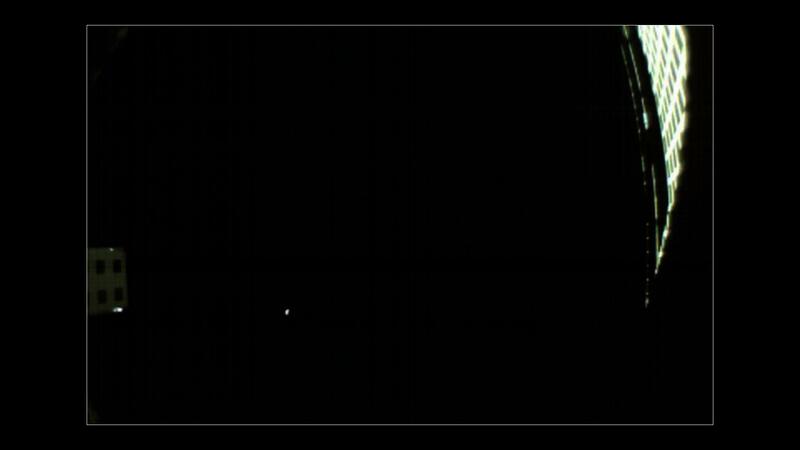 The MarCOs are the first CubeSats to reach deep space, and were the first CubeSats to photograph Mars.